Micro influencers are from ordinary people, and most of them have less than 10k followers on Instagram. A micro influencer will usually “apply” to become an influencer, and they typically have good taste in photography. Macro influencers are popular and famous, have lots of followers, and they are a household name. These influencers are usually celebrities who have tens of thousands or millions of followers. Macro influencers are usually being asked by a business or brand to feature their product or service on their Instagram profiles and mentioning them on their captions. By using macro influencers, you will be shown to millions of people. So it can be an excellent opportunity for increasing your brand awareness. So now you can tell the difference right? Let’s go through the pros and cons of macro influencers and micro influencers. You should know about these things, especially if your business only has the time or budget for one. Micro influencers perform in the same way as word of mouth. When they post a selfie of them enjoying a snack after gym, you don’t question it. It is easier to believe a micro influencer uses a featured product. They tell you the snack is perfect and delicious, so you make a mental note of the brand. This authenticity attracts awareness, engagement and brand exposure. Well, cheaper than macro influencers for sure. 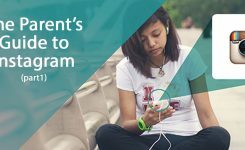 On average, a micro influencer charges around $180 per Instagram post. Note: All of the available influencers can use the brand just their posts. Obviously, they don’t have the massive followings of macro influencers, so the reach and visibility of the content are capped. 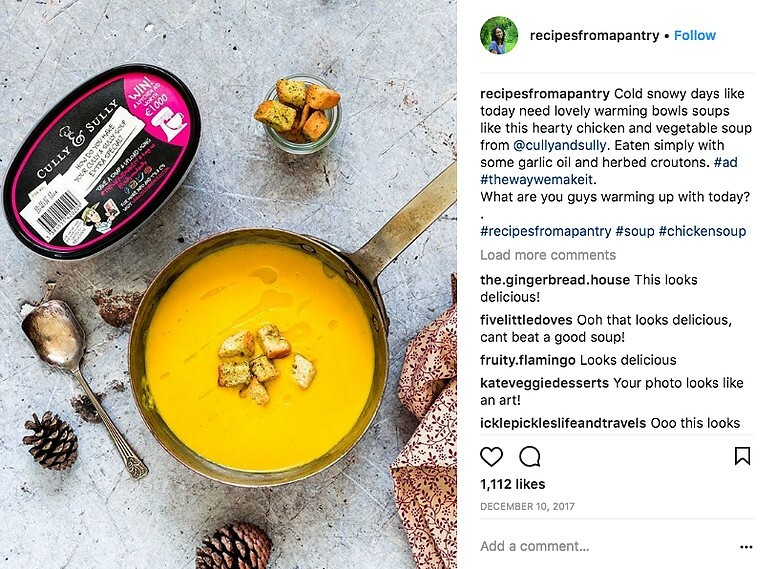 Performing a micro influencer campaign can be great for exposing your product to lots of different people, while engagement, reach, and visibility can be measured and reported on. Still, it can be tougher to attribute influencer engagement to direct sales. A brand can usually choose the exact celebrity and give them specific instructions on what to post, meaning the outcome can be almost predicted. This control also allows brands to build a reputation around their product. However, this can go wrong – take BooTea for instance. 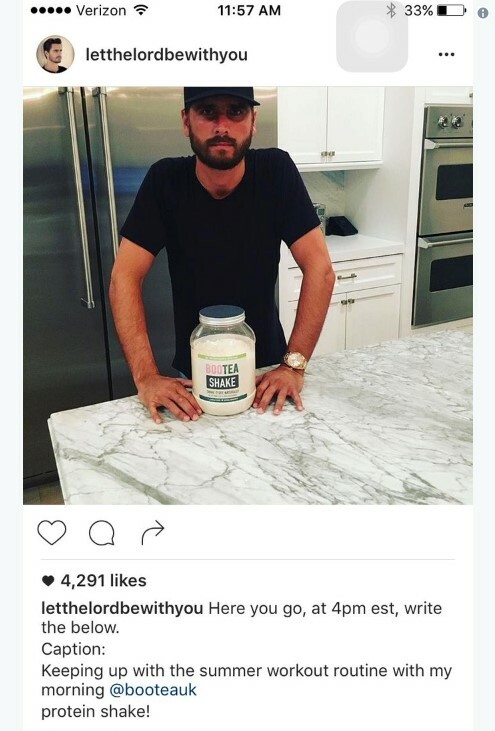 The nutrition brand asked Scott Disick to feature their product on his Instagram. A campaign that ends in something like this can destroy a brands’ authenticity. Well, more comfortable to identify than that of a micro-campaign, at least -because many brands will set up a different offer code for a macro influencer campaign. The influencer will then post it along with their content. See the example below. 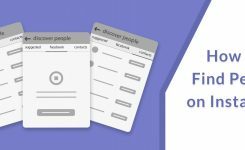 This makes it easier to attach sales to a specific post or macro-campaign as companies can directly track how many times an offer code was used online. People can see through a devised Instagram post and therefore believe the contentless. While this kind of marketing is excellent for reach and awareness, people usually don’t believe that the influencer actually uses the product. 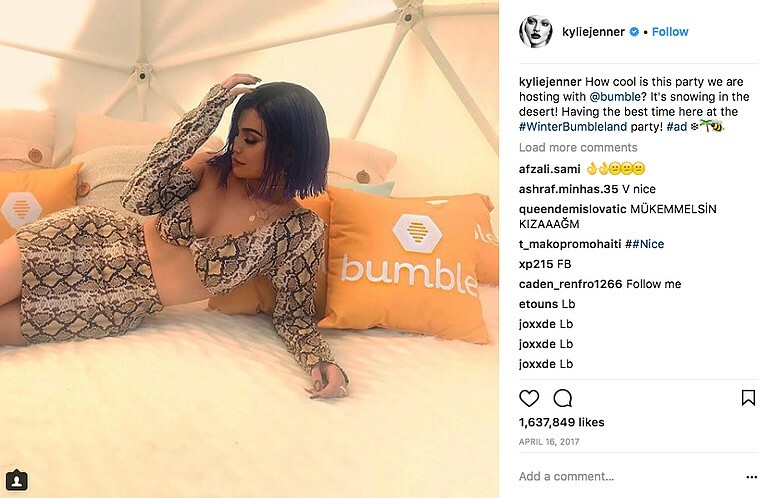 Celebrities will generally require much higher payments than micro influencers. One piece of content from a macro influencer could be between $2,000 to $50,000, depending on their status and follower numbers. 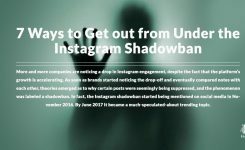 Although their follower numbers might be higher, and your content will, accordingly, get more views, you can also get a lot of engagement by a post that famous people give single posts with macro influencers, as exposed to one expensive macro influencer post. 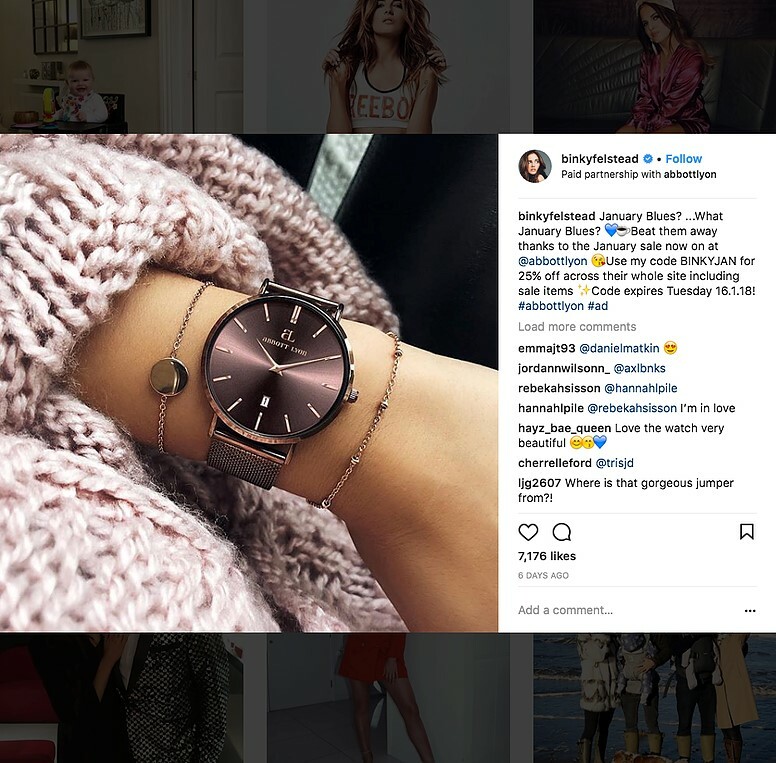 Both micro and macro influencer campaigns have their pros and cons, but in most instances, people prefer to choose a micro-campaign. So please comment us below and tell us more about your business on Instagram.